I promise you I am better a gymnastics than this I just thought it was kind of a cool photo. 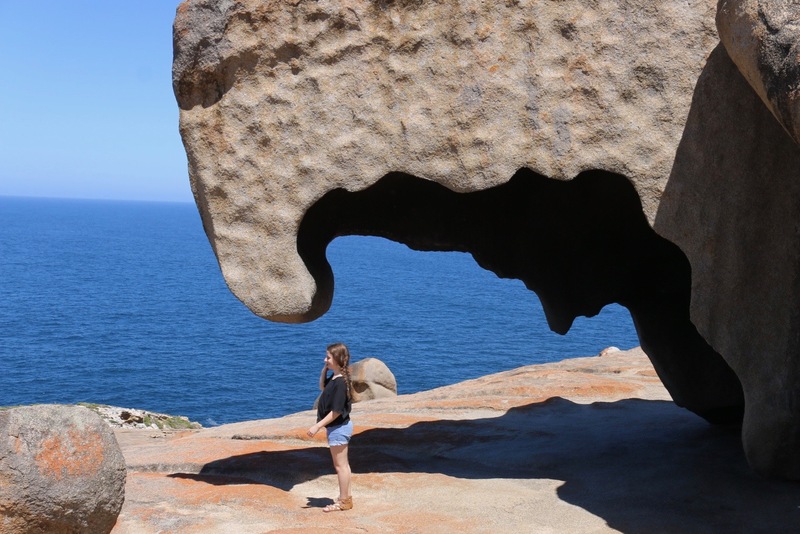 This is the iconic photo on the remarkable rocks which everyone who is anyone takes a photo at this exact spot. I do not know how I got up here with slippery shoes on. To be honest I should have taken this kind of photo on a less busy road but I managed to get the photo without getting ran over. This photo is on the way back from the remarkable rocks. This is at Admirals Arch, if you get a chance to go to Admirals arch I urge you to go. Personally I think it's better than seal bay (and a lot cheaper) Admirals arch is free and you get to see seals. 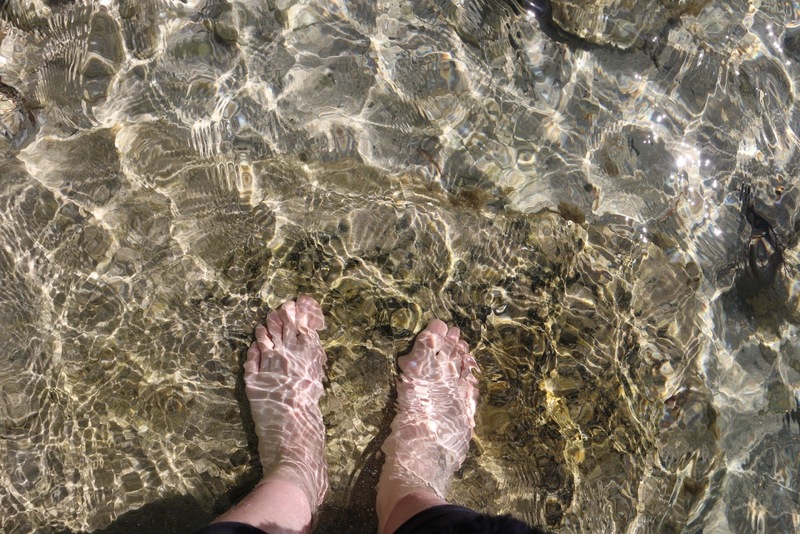 We went to a secret beach, I have no idea what it's called but it was quite popular for being a 'secret' beach. But to get there we had to go through all these rock boulders which at points were a bit of a squeeze. The best bit of this beach is how it has a really calm area of water and then an area that you can surf. This is at seal bay. Such a romantic seal lol. If you look really close there is a baby seal in amongst the sand. Not lying, there was no zoom on this. The kookaburra was this close. And yes I did hold a Kookaburra and so did the other girl next to me (there was two kookaburras). This was the view from out rented house in American river on Kangaroo Island. I hope you liked my little montage video, give it a like and a comment and subscribe! I hope you enjoyed this blog post and I hope you are having a great day.